PARLIAMENT -M Tempers are expected to flair on Tuesday when Members of Parliament vote on the proposed 0.5% mobile money tax which is contained in the Excise Duty Amendment Bill (2018) No. 2. Voting on the Bill flopped last week over lack of quorum after both the majority and minority reports were presented by dissenting MPs. 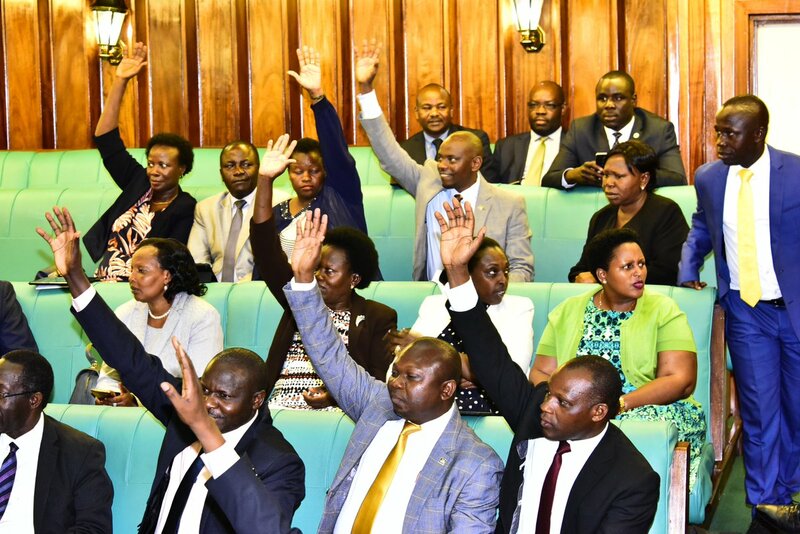 However, the vote on Tuesday in the House is expected to be closely contested given that a number of MPs from the ruling NRM party are backing their Opposition counterparts to scrap the tax on Mobile Money. The MPs opposed to the bill contend that there is no law to regulate the use of Mobile Money; mobile money services are already faced with huge transaction fees and that the sector risks causing a surge in unemployment levels in the country once an unpopular tax is introduced. One of the NRM MPs backing the removal of the tax is Kachumbala County MP Patrick Isiagi. “Mobile Money operation is a revolution, a growth factor that we should not miss, a product that is still at infantry stage. How can we afford to continue suffocating the sector even when it is clearly falling? We are representatives of the people, we cannot legislate and pass this tax, we cannot continue even after understanding that what we have done is wrong,” he said on Monday. On Monday evening, legislators from the ruling party were summoned for a caucus meeting at State House Entebbe by President Museveni for a common ground before today’s debate. Parliament was last Thursday forced to postpone the debate on the Bill after three-quarters of the MPs failed to turn up. The Bill was up for discussion and possible approval by the legislators after a report was submitted by the Committee on Finance to Parliament. Then two reports, one majority and one minority, were submitted to the floor for debate. The minority report was presented by Nakaseke South MP Paulson Luttamaguzi, opposing the tax and calling for its total removal. “A tax on these services is likely to reverse all the benefits brought by mobile money [and]it is necessary for Government to salvage the economy and drop this tax,” the minority report, which was signed by Luttamaguzi; Kachumbala County MP Patrick Isiagi and Moses Walyomu (NRM, Kagoma County), read in part. At this moment, most of the new MPs attending the session were all in support of the minority report. This prompted protests from a few NRM members present, who urged the Deputy Speaker, Mr Jacob Oulanyah, to postpone the debate, citing lack of quorum. The ruling party then started filing out of the House one by one, to ostensibly fail the debate, which they anticipated they would lose. “Hon Members we are going to vote you cannot get out; please resume your seats and we proceed,” Mr Oulanyah pleaded. However, his call fell on deaf ears as more MPs kept moving out. He then suspended the session for 15 minutes to allow MPs more time to enter the chambers and proceed with the bill. However, the 15 minutes elapsed with no sign of MPs coming back. The presiding Speaker then decided to adjourn the debate but with harsh words for the MPs.